Dr. Candace Lewis is a very patient and kind professional. She does not rush her patients and she is very thorough.Dr. Lewis comes highly recommended. Dr. Candace Lewis is a very patient and kind professional. She does not rush her patients and she is very thorough. Dr. Lewis comes highly recommended. It was awesome I felt very comfortable, for once. She actually cared, which astounded me. I had a great visit. 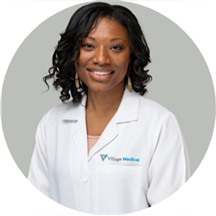 Ms. Candace Lewis is a physician assistant serving the communities of Locust Grove and McDonough, GA. She practices at Venture Medical Associates. She obtained her master's degree in physician assistant studies from the Medical University of South Carolina. Ms. Lewis is a dedicated provider whose primary role is to provide quality treatment. She does so by applying her sound medical judgment to each patient interaction. She believes that the patient-provider relationship should be built on mutual trust and that it plays a crucial part in patient care. Her friendly nature helps her build a rapport with her patients. They feel at ease and discuss their issues with her in a candid manner. Ms. Lewis sees individuals for several conditions like depression, anxiety, psoriasis, sinusitis, and asthma. Skilled and experienced, she caters to these and a lot of other patient problems with efficiency. I was very pleased with how she checked everything out to find out what was going on with me today. She is very thoughtful and caring. I think she's wonderful.